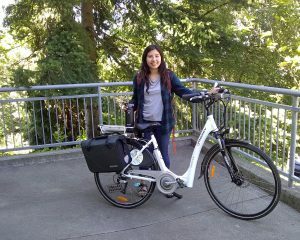 Jessica is a student at Western, and she was the last person to check out a Viking eBike for a short term loan. 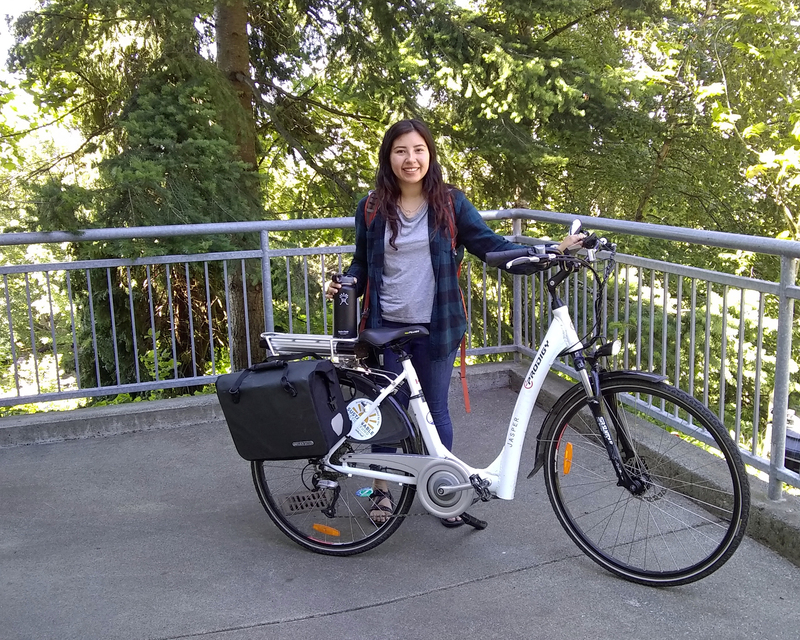 Check out what she has to say about her e-biking experience. As soon as I test rode the Viking eBike at orientation I knew I had to get my hands on one! Even though that meant that borrowing it for three days or so would be such a tease, because the bike itself is so great! Bellingham has quite the versatile terrain to ride on and the e-bike outdid itself every time! I live on the south side of campus and getting to class was a breeze when I was running late and even when I wanted to go to Boulevard Park and come back up Fairhaven – I had no trouble. When it came time to drop the bike back off, it was so bittersweet. But truly, what a great program to create awareness of this sustainable transportation option.